Form and function unite in boot form with these Danner Men's 17311 Black Quarry USA-Made Waterproof Alloy Toe EH Quarry Boots. This footwear will turn heads on and off the jobsite. You’ll love the 100% waterproof and breathable GORE-TEX® lining inside of the ... (see full details) (see specifications) #DNN17311. Form and function unite in boot form with these Danner Men's 17311 Black Quarry USA-Made Waterproof Alloy Toe EH Quarry Boots. This footwear will turn heads on and off the jobsite. You’ll love the 100% waterproof and breathable GORE-TEX® lining inside of these this premium footwear. This lining will keep your feet warm and dry all day long. These shoes are also manufactured with full-grain, all-leather uppers to provide you with a classic design and superior protection. Equipped with fiberglass shanks this footwear gives you added reinforcement you desire, especially to your arches. With you in mind, Danner uses handcrafted stitchdown construction to provide wider platforms for increased stability underfoot. The special construction makes this exceptional footwear recraftable, if needed. Safety with style? Yes, sir! These American-made boots are triple stitched for superior endurance against wear and tear. The rugged hardware provides you with a secure fit and long-lasting performance. For even more safety, these shoes are outfitted with new, exclusive Vibram® Quarry outsoles featuring a 90-degree heels, oil- and slip-resistant rubber compound. Along with a non-linear lug pattern for superior traction and debris release. The black boots come designed with electrical hazard protection and meet or exceed the ASTM F2892-11 and EH standards for even more safety. Dress and impress with these Danner Men's 17311 Black Quarry USA-Made Alloy Toe EH Boots! Order your pair from the Working Person's Store today. Your feet will thank you for the all day comfort. These are the first pair of boots I've owned where the safety toes are roomy enough for my feet. They are also very well made and comfortable. I'm still breaking them in, but so far no blisters or pressure points. They are also much lighter than the other work boots I've purchased in the past, which is a good thing. So far I'm very pleased with them. I've tried quite a few different brands. Some wore out way too quick and the safety toe would cut into my feet and some fell apart. These Danner boots have been the best by far. They have worn well. They had a short break-in time. The safety toe sits just about perfect on my feet without bunching or pinching. They still look great after almost a year with little to no wear on the sole. Some minor scuffing on the toes, but that is to be expected during near constant use. I would definitely purchase these again. The aluminum toe is nice and light while still providing the protection that I need. Made in the U.S.A. is another great perk! I have been wearing these boot for about 6 months now. They are very comfortable and provide proper support and protection that I have come to expect from a work boot. Along with function, they provide a professional look. Can be worn as a work boot or dress boot. I was looking for a good pair of work boots I could wear at work and wear in my off hours when needed. After looking awhile on the Internet at a number of manufacturers and withe the requirement of looking for USA made boots I ran across these pair of Danners. Just like the previous review, no blisters, no pain since the first day I wore them. They are great boots, in this case you get what you pay for. True sizes also. 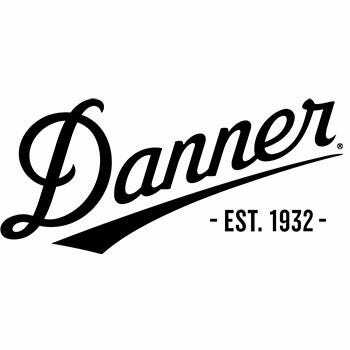 Danner Boots: Men's 17311 Black American-Made EH Waterproof Alloy Toe Boots is being added to your cart.